Intense aromas of exotic fruits with mineral notes. Every myth has a scource, every legend has a beginning and every fantasy is based on an actual fact. For hundreds of years people have searched for the Castle of Dracula. None has been able to locate the count’s vault even though some have sworn they felt they were close. Their eyes could see nothing in the mists. However some say there is a secret, local beverage that can help you see the unseen. 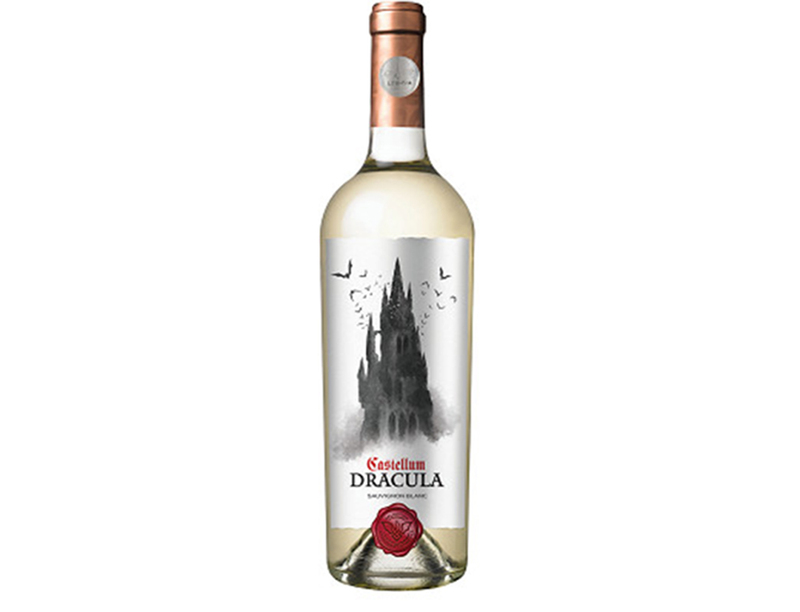 Castellum Dracula Sauvignon Blanc has a pale straw colour with brilliant clarity and a bouquet of green pepper, asparagus and fresh cut grass. Rich on the palate it is well balanced with vivid acidity and a lingering refreshing finish. There is no oak aging with this wine. Food Match: Great with Asian dishes, fish and other seafood, chicken or just on its own.